HP staff have voted in favour of striking after a dispute with the company over pay and benefits. 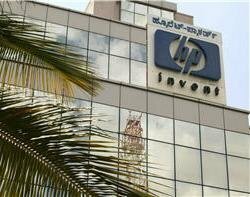 The dispute concerns around 150 customer engineers and support specialists who are being transferred to another company, HP CDS. The workers' union, Unite, says the company has "taken opportunity of weaknesses in current employment legislation to remove pay and pension benefits". This includes a performance bonus scheme worth up to £2,000 and a final salary pension scheme. The union will decide this week on the timing and form of strike, which will go ahead if the company does not address workers' concerns. Peter Skyte, national officer at Unite, said the action is likely to be the first of multiple strikes in response to HP's cuts of benefits, pay and staff levels over the past year. "This is likely to be the first of more industrial action in HP, unless the company rethinks its policy of attacking the terms and conditions of its workforce as a sacrificial offering on the altar of stock exchange-driven short-term financial targets aimed at primarily enriching its senior executives. "We remain willing to find a way of resolving this dispute and avoiding industrial action, although this has not been helped by the crass actions of the company in trying to undermine the union and deal with employees individually on a matter that affects this group collectively."